Since ancient times marble has been used in architecture, as the precious material is the symbol of timeless elegance and tradition. Interior designers work with marble to give a home a sophisticated touch by using it in floors, kitchen tiles and countertops, as well as bathroom interior since the material is not only beautiful and strong but because each piece of the natural stone makes a home unique. Even though the material seems cold at first glance, marble makes an excellent material for furniture or a statement décor piece. Think about an elegant marble coffee table or a fruit bowl on the counter of your kitchen. Marbled lamps can bring a classic touch to the living room and be a nice focal point, candleholders add a romantic touch to a bathroom setting. 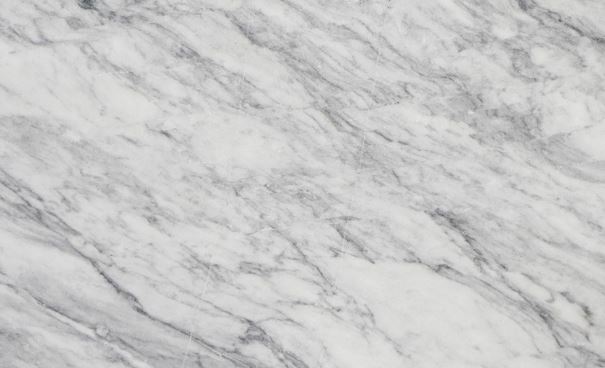 Extremely versatile and a long established material, timeless marble is having a moment again in kitchen and bathroom tiles, sinks, splashback or flooring for that classic glamour factor. The stone is a glamorous staple in interior settings as white marble will always be timeless. The stone is a high-end material and can be styled in many ways. A marble floor, for instance, can be stunning in the foyer to create a formal space or lend a luxury feel to the master bathroom. It can be used in straight columns to separate areas in spacious open floor plans or added to the backsplash in the kitchen or wainscoting in the bathroom to give a classic touch when tied in with more modern materials. Marble can lend personality and a luxurious touch to a minimalist home. Flooring with white marble makes a home light and airy and can be paired perfectly with the Scandinavian colour scheme to keep things simple. The material defies time and has made it back into the lifestyle magazines accompanied by wood. The timeless classic can be paired with darker hued furniture, as darker solid surfaces will balance out the white stone effect. The simplistic Scandinavian look can be achieved by placing wooden chairs or side tables onto the marble flooring, one of the keynote pieces of Nordic design. The two natural materials marble and wood make a great combination and bring life to the classic interior design. The grain of the marble works well with the raw wood to create a look that is simple, fresh and crisp. As the material is durable, clean and fresh, white marble still features in many kitchens and bathrooms for that subtle sophisticated finish. If you want to toughen up your interiors and like the industrial look, pair the white marble floor with a mirror held by a black metal frame or a bathroom rack for a classic colour combo that is sure to impress. For the tough-luxe look and a contemporary twist in your home, interior designers suggest pairing white marble with concrete. The two materials come together with simple and elegant and create a chic yet calm industrial look with the Scandinavian aesthetic. When styling homes with white marble, there is always the opportunity to go full glam and very art deco by pairing the stone with lavish velvets, brass and luxe gold to warm the cool of the marble. To this day, contemporary living shows white marble with metals like copper, gold and brass for a luxurious classic look. When deciding on the classic look for your home, make sure you only use such bold materials as accents to not to overpower the room. If you are in love with the art deco style, consider wall colours with dark hues such as forest greens and indigo to achieve the overall sophisticated and elegant look. ← Previous Previous post: Is It A Good Idea To Run Your Commercial Premises On Rainwater?